and has been for 100 years. 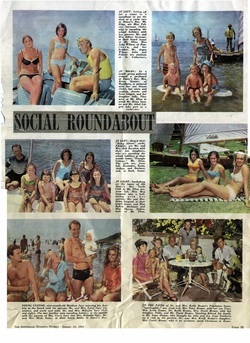 Australian Women's Weekly c 1968? Davey's Bay runs an active social calendar and a very busy sailing schedule. This calendar should list all club activities. The calendar can be linked to if you use a PC or a smart phone like an iPhone for example. Give me a call if you would like to connect to it and stay up to date. Davey's Bay Yacht Club celebrated its 100th year in season 2009. We will add a history of The Club here, but not just yet. 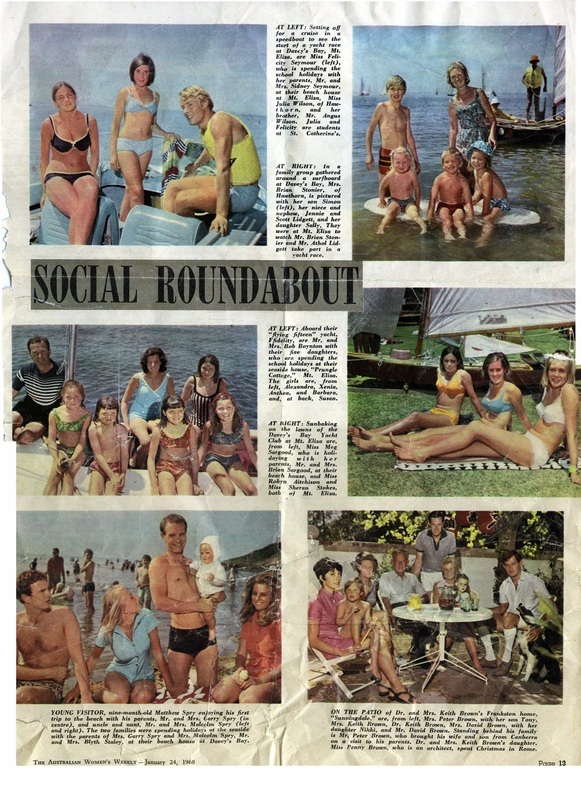 In the mean time, have a look at some historical photos we have collected. Many come from the extensive collections of the Peck, Grimwade and Syme families and we thank them for sharing these precious memories. To view photos, simply click on thumbnails or click arrow to run slide show.